We first tried to go to Est! Est!! Est!!! in 2011 on Santo Stefano, December 26, the day after Christmas. It was closed, like many places on a holiday, and we ended up at what can best be called a Roman diner down the street, conveniently open, too brightly lighted, with tired waitresses and a last resort for several couples who could find nothing more suitable at the last minute. With the good fortune of moving here, we’ve made three trips to Est! Est!! Est!! !, and this was our fourth, finally to be chronicled in OWP. 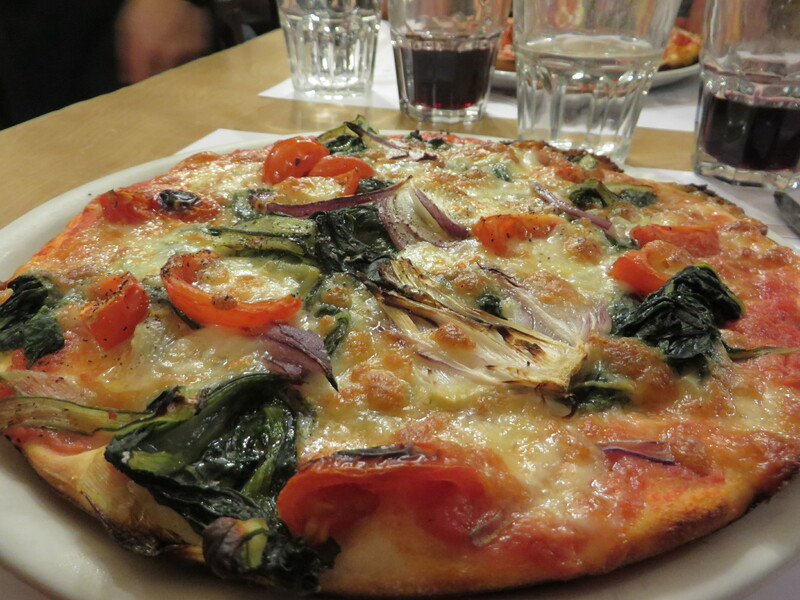 The actual name is Antica Pizzeria Fratelli Est! Est!! Est!!! which is of course forgettable and too long. The phrase Est! Est! Est! itself has some historical significance, a proclamation that was used to communicate where some excellent wine could be found. In this case, the phrase has been co-opted to proclaim their excellent pizza. This is a fun place: crowded, old-fashioned, noisy, welcoming. I always feel like there is a great sense of fun in the room. The waiters seem to enjoy themselves, they tease the children and show a good sense of humor. 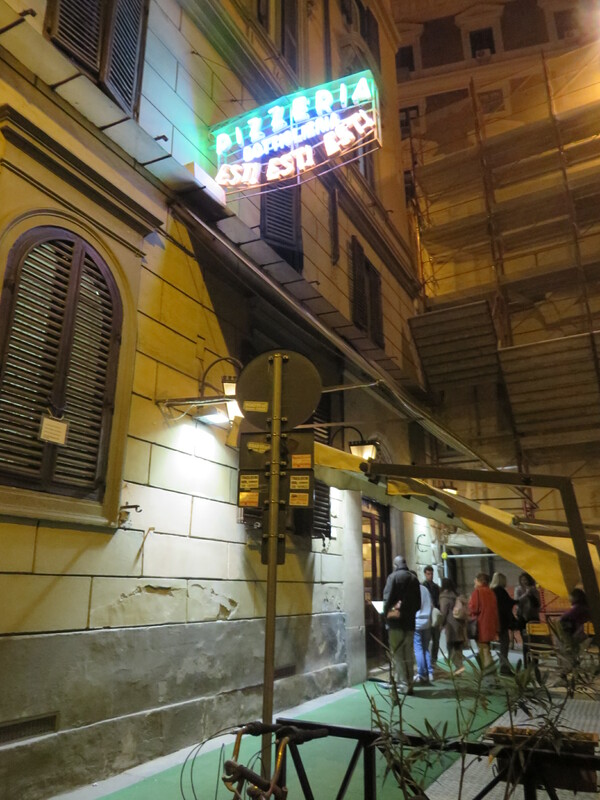 Prices are excellent, especially for central Roma, and house wine is fine. We have very high standards and this is not going to knock Dar Poeta off its very high pedestal, but it is conveniently located and after throwing back some wine with the Marines at the Embassy, it was an easy walk with promising connections when we were ready to go home. The entrance is rather dreary, at the dead end of a street near the train station. Some of our pre-pizza fried goodness. A little heavy on the batter. 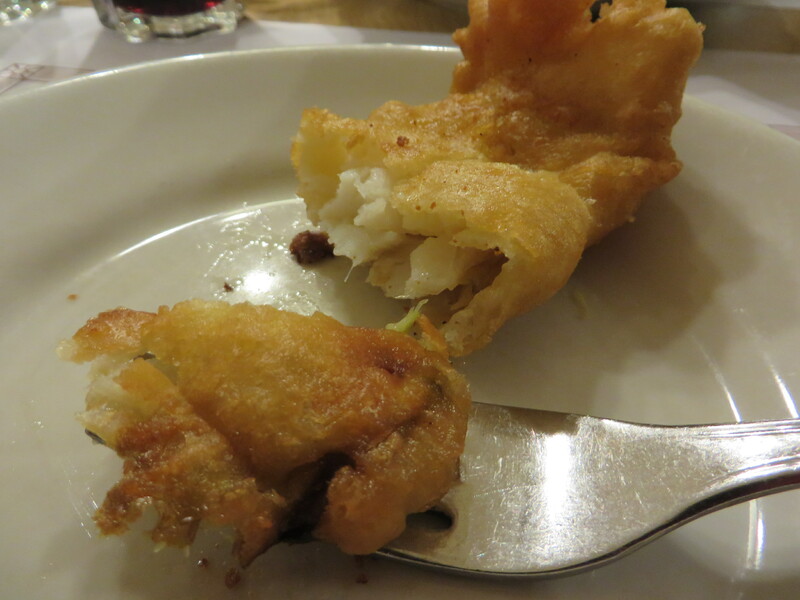 Baccalà (cod) is a traditional fried starter we seldom eat. It was good but heavy. Hard to tell from this pic, but the pizzas are a little smaller than the average. 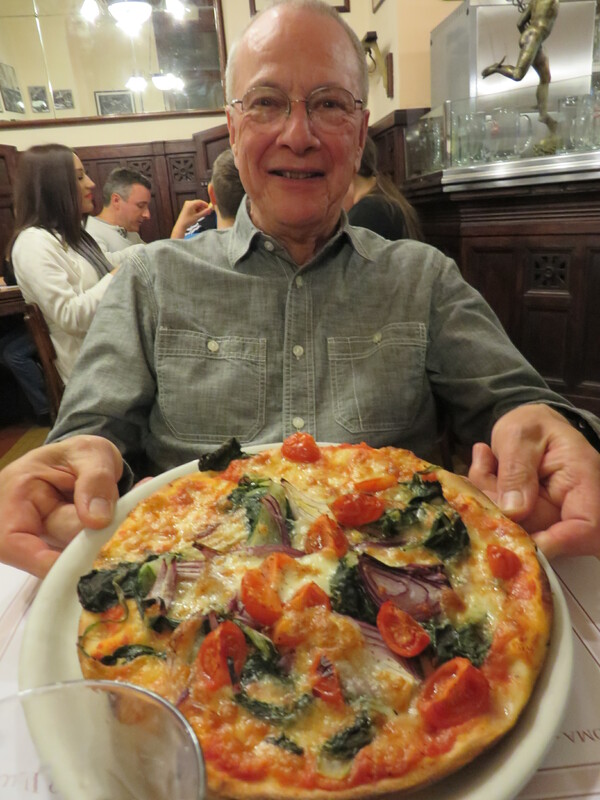 We both chose the same pizza, the Contadina, a vegetarian delight. So flavorful! Pizza Quality: 2 Neapolitan style, not soggy, and perfectly respectable. 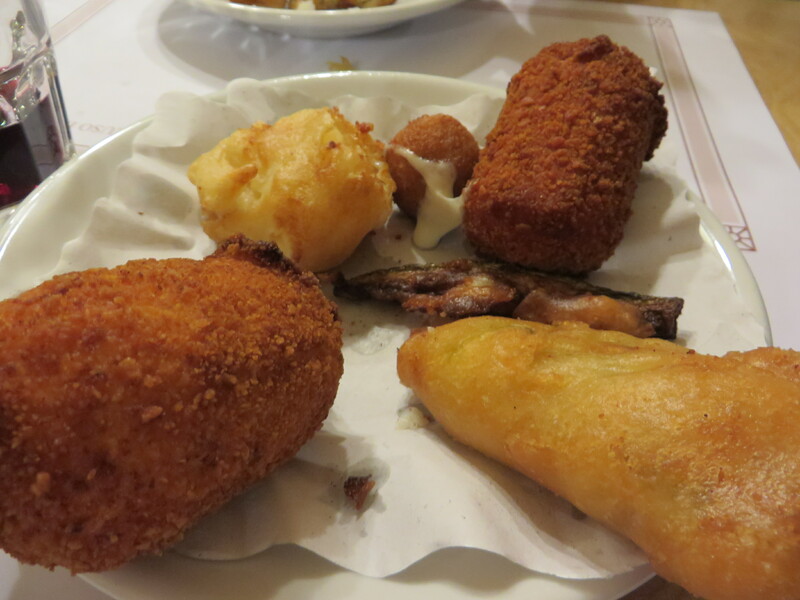 The vegetarian Contadina alone is enough to make me go back. Service: 3 Nice waiters, efficient, fun with kids. Enough English spoken to make ordering easy. Ambiance: 2 Lovely old wood paneling and bar, with a very old-fashioned feel. You can believe it has been here since 1888. If they had good outdoor seating, it would add immeasurably.